AllThingsD’s Peter Kafka reports today Apple is planning to move podcasting out of iTunes and into a new dedicated application. Why have podcasts disappeared from the new version of iTunes that Apple started showing to developers this week? Because Apple plans on giving the recordings their own bit of digital turf. This could be simple housecleaning. iTunes has become a bloated jack-of-all-trades app, and it could use simplification. The success of iOS devices has shifted Apple’s priorities, too. iPhones and iPads are no longer primarily peripherals to computers, but are Apple’s most important platform. There may be much more to the news, though. Instagram’s billion dollar sale to Facebook highlighted that mobile devices are rapidly becoming the default platforms for content creation. With Apple’s existing strengths in mobile audio and video content creation, they have a huge opportunity in rethinking their approach to podcasting. Think podcasting is getting demoted? Or do you think Apple see a bigger opportunity for mobile media sharing? Apple is sleeping on a goldmine. 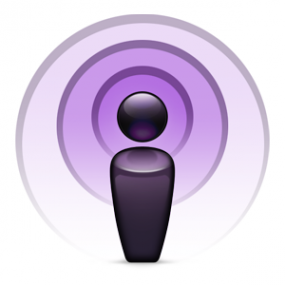 I hope they implement something like iBooks to allow content creators to charge for premium podcast subscriptions.